You know their names: Stanford, Harvard, Yale, MIT, Princeton, and their ilk. Their acceptance rates are infinitesimal. And they grow smaller every year. With tens of thousands of talented students from across the globe trying to get into the top American colleges—especially the 50 or so that admit less than 25% of applicants—it is tough to fathom how admission officers select just a small fraction. To make things worse, colleges don’t really tell you exactly what they want: Should you try to be well rounded or excel in one area? If you have one B on your transcript, are you out of the running? Do they even read your admission essay? These are just some of the questions students often ask me. Before I started working with students, I had the privilege of being an admission officer at an Ivy League school, reading thousands of applications and voting “admit” or “reject” for each one. There’s no sugar coating it: these decisions are not easy and they are certainly not scientific. However, there are general guidelines selective college admission officers use to guide their selections—and most students have little or no idea what goes on behind those admission office doors! 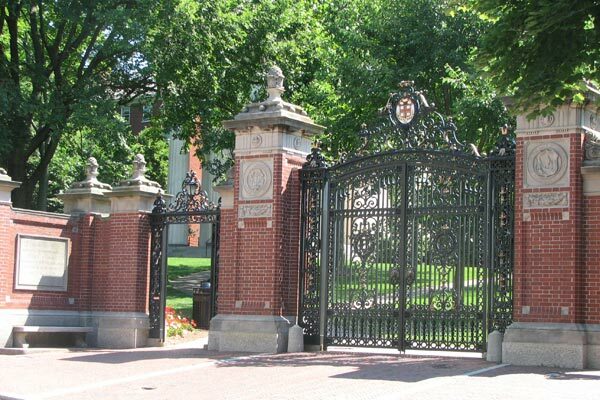 In this blog post, I want to debunk five popular myths about selective college admission. Read on for tips that will help you “think like an Ivy League admission officer” and understand how the selection process really works. Unfortunately for academic high achievers—and even astronomical achievers—gaining admission to a selective college is not solely based on perfect transcripts and strong test scores. Simply put, college admission policies are confusing because colleges are confused. American higher education does not have a single, clear mission. If computers were used to read students’ applications, then there would be virtually no need for admission officers. Of course applications get read! For the most part, admission counselors are assigned to read applications from particular cities, countries, or regions (e.g., New England, India, Los Angeles, etc.) so that they can become familiar with the schools in their regions and can review applicants applying from the same high schools with similar curriculums and grading scales. If you are either supremely qualified or entirely unqualified, it is possible that only your regional admission officer will review your application. However, “borderline” candidates usually go before the admission committee for a final review, so the admission decision does not fall on one counselor's shoulders. Do not make the admission officer “work” to understand what you’re saying, especially in narrative sections like your essay. Be sure to take complex, genuine themes and word them clearly, organize them logically, and don’t cash in on the “5 cent” words. Write in your own voice and strive to create a clear picture of who you really are as an applicant with every detail you add to your application. Early admission programs give students the opportunity to apply to their top-choice college by November of senior year, and they will receive a response from the college about six weeks after that. Early Decision programs, however, are unique in that they give you an important boost in the admission process. Why? Because Early Decision programs also require students to enroll in the college if accepted. No college wants to be a “safety school,” and Early Decision programs help admission officers determine which students are serious about attending. They want to admit students they know will say yes. But this advantage comes at a price: before you apply Early Decision, you need to make sure you truly love the college; if you get in, you must enroll and won’t have the opportunity to apply to other colleges. Do not make this decision flippantly, because the ramifications, particularly regarding financial aid, are serious! Applying to college is not just about getting into the toughest school possible. It’s about setting yourself on the right path for your future. You need to carefully evaluate what you want out of those four (or more) years—and well after. What types of people do you want to be around? Whether or not you agree with a particular admission committee’s decision, going to college is your opportunity to grow socially and intellectually. Whether that occurs at an Ivy League or community college, a public or private school, with the right attitude and a commitment to making the most of the experience and opportunities afforded to you, you will be successful and happy anywhere you decide to enroll. Dr. Jager-Hyman is Founder and President of CollegePrep360 and an internationally acclaimed expert on the college admission process. Her first book, Fat Envelope Frenzy: One Year, Five Promising Students and the Pursuit of the Ivy League Prize, was called “an engaging book that every parent of a high school student will want to read” by the Wall Street Journal and was recognized as one of the “Ten Best Books of 2008″ by the Daily News Online. As an expert on college admission, Joie has appeared on the CBS Early Show, New England Cable News, NPR, and dozens of other radio programs. She contributes to numerous publications on college admission topics, including Forbes and New York, has written research articles for academic journals and prominent policy reports and has even testified at a congressional hearing on baccalaureate degree attainment. A graduate of Dartmouth College, Joie served as Assistant Director of Admissions for her alma mater, where she read and evaluated thousands of applications. She then went on to complete a doctorate in education policy at Harvard University, concentrating her research on the transition from high school to college. Her new book, B+ Grades, A+ College Application: How to Present Your Strongest Self, Write a Standout Admissions Essay, and Get Into the Perfect School for You will be published by Random House in 2013.